There is a coffee shop in San Jose, B2 Coffee, that does nitro cold brew. I always grab a cup when I’m in the area. 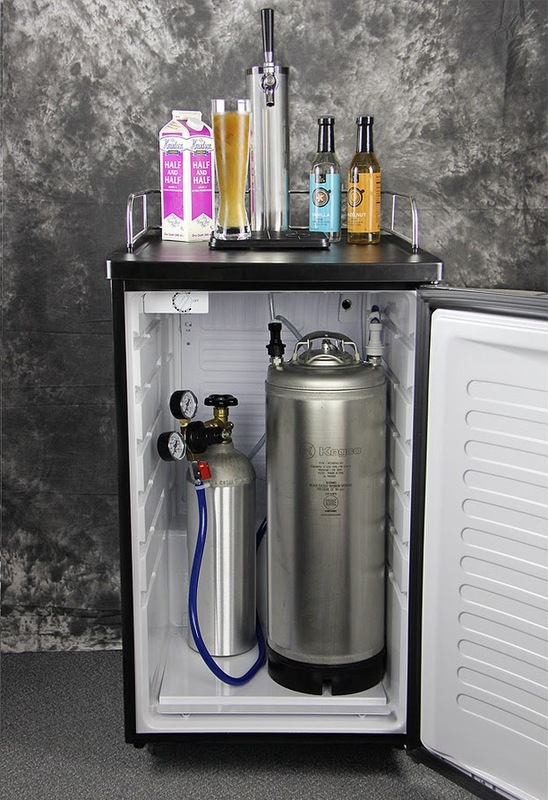 When I was in Canada the other weekend, I was looking around for coffee shops and saw one close by that had posted on their site that they were getting a nitro system in for their cold brew. I went there and was disappointed to learn that it wouldn’t be installed for another week, long after I was gone. I’m currently in an area where there isn’t even a grocery store closer than 15 miles. Needless to say, there’s not much in the way of coffee either. That got me thinking about what it would take to do this at home. The first thing that I found was a full-blown system, shown below. Add this to the list of things that I want to do when I have the requisite time/money. Realistically though, it’d be much better at the office. You’re really only supposed to keep cold brew for a week, and I don’t drink nearly enough to justify a whole keg. I’m not sure if they’re using nitros or nitrogen cartridges in the video. Typically, with whipped cream, you’d use nitros. However, I found that you can get pure nitrogen cartridges, for not too much money. From my research, I found people doing both, for both beer and coffee, so I figure that I’ll probably experiment with both when I get around to this project. Either way, if it works, it’ll be a hell of a lot cheaper than buying a keg and a nitrogen tank. This weekend, I was preparing a batch of cold brew coffee in my Toddy, and I accidentally broke my grinder. The basket had filled up with grinds and backed up into the burrs. After spending hours cleaning the thing out, I was able to get it back to turning on, but was getting a very inconsistent, very coarse grind. 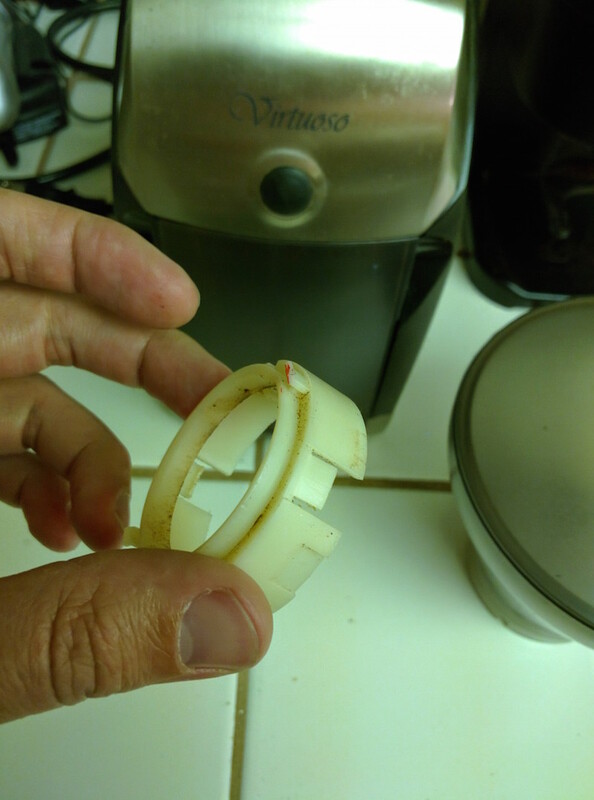 After doing some research, and looking on Baratza’s website, I found that one of the common problems is that one of the burr holders has these little tabs that are designed to break off in the event that things get jammed up, to protect the rest of the machine. All I needed to do was order the $4 replacement part, and pop it in. Now I have a working grinder again! Bonus, I used this opportunity to adjust the default grind size from coarse to fine, so that I have my grinder more in the range that I want it in. Though, I might take it apart again, and set it to the middle setting, since my Rancilio Rocky is what I use for espresso.